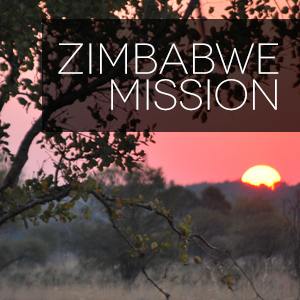 Elder Ted Wilson, president of the General Conference is holding 100 evangelistic meetings in Harare, Zimbabwe next year. The dates for the meetings are May 8-23, 2015. Elder Wilson will continue for a few days after our meetings end on the 23rd. This is a collaborative effort with the General Conference, Southwestern Union, conferences within NAD, ASI, and ShareHim. Elder Wilson will be holding one small meeting in Harare and at the same time the other churches in Harare would like to support his meeting with meetings at their own venues. These venues are where the 100 guest evangelists will be speaking. They are expecting several thousand baptisms from all across Harare. This will be a monumental event for the Zimbabwe Union and the East Zimbabwe Conference as well as the Southern Africa-Indian Ocean Division. A number of you from ASI and across the NAD have indicated to me that you are interested in being a part of this event. We also have several conferences that are interested in bringing some pastors, so we will have to do this on a first come, first serve basis. If you would like to participate, you will be responsible for the following: your air fare and obtaining your own air ticket, a valid passport which has to be good for six months beyond your arrival in Harare, your visa for Zimbabwe, any vaccinations you will need and malaria medicine, the cost of your evening meal, and personal miscellaneous expenses. When you register for this trip, you will need to pay $1250 which includes the site fee, your GC travel insurance, your lodging when shared with one other person, your breakfast and your lunch. If you need a travel agent for your air tickets, we suggest you contact Ellen Butler of Butler Travel at 503.879.5005. It looks like you can get tickets now from Dallas to Harare for between $1250-$1400. Also if you would like to see Dubai, Air Emirates tickets are very reasonable and they also pay for your hotel since you have to spend a night going to Harare and on your return to the U.S. Butler Travel will give you the schedule. I would suggest that you arrive on May 6. Orientation will be on May 7 you may want to visit the church site where you will be having your meetings and then May 8 is the opening night. Kathy and I are going to Africa in October and we will let you know the costs of the hotel (if you choose to not have a roommate) once we return. Regarding the sermons, we will send you a copy of the new ASI sermons in both Power Point and Keynote. These sermons have Ndebele audience graphics and English speaker notes. These are compliments of ASI. At a later date I will send you the order of sermon topics. If you have questions, please feel free to contact Suzanna Facundo at sfacundo@swuc.org or phone 817.295.0476; or Duane or Kathy McKey at 817.475.0809 or 503.781.6512.